You'll be £4.99 closer to your next £10.00 credit when you purchase German Tank Hunters. What's this? This unique collection of contemporary combat accounts provides a primary source insight into the reality of anti-tank warfare on the Eastern Front. Both armoured and infantry based operations are considered. This book is part of the 'Hitler's War Machine' series, a new military history range compiled and edited by Emmy Award winning author and historian Bob Carruthers. The series draws on primary sources and contemporary documents to provide a new insight into the true nature of Hitler's Wehrmacht. The series consultant is David Mcwhinnie creator of the award winning PBS series 'Battlefield'. 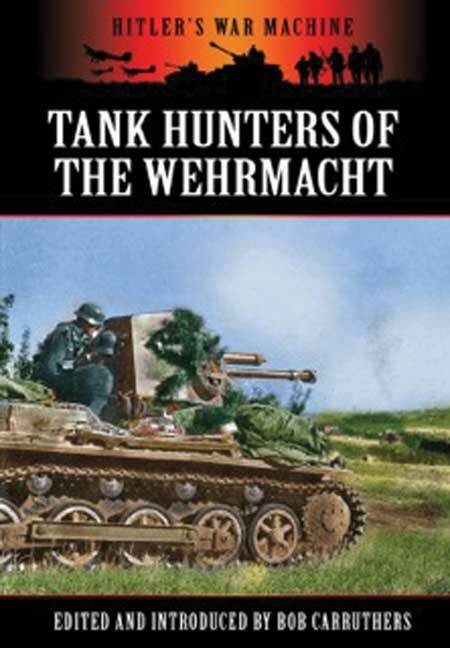 This book provides a fascinating insight into the fast and ever changing world of the tank hunters between 1939 and 1945. Essential reading for anyone with an interest in the weapons and tactics of the Wehrmacht. An excellent work. 8/10. This is a fascinating little book on several levels, for not only does it describe in detail the full range of anti-tank weaponry available to the Wehrmacht, from the famous 88mm flak gun to improvised mines and molotov cocktails, but it is also of historical interest as it is entirely based upon contemporary US Army intelligence pamphlets. The appearance, characteristics and capabilities of these weapons are described in typically concise military language, accompanied by photographs, drawings and diagrams, as well as notes on their typical tactical deployment, as uncovered by the experiences of British and American troops in the field. It is, therefore, an extremely useful reference guide for anyone with an interest in militaria.